BRAND NEW two-story home with large open living spaces, lots of storage, and exquisite finishes. Personalize to your tastes with hundreds of options and move-in July/August 2019. 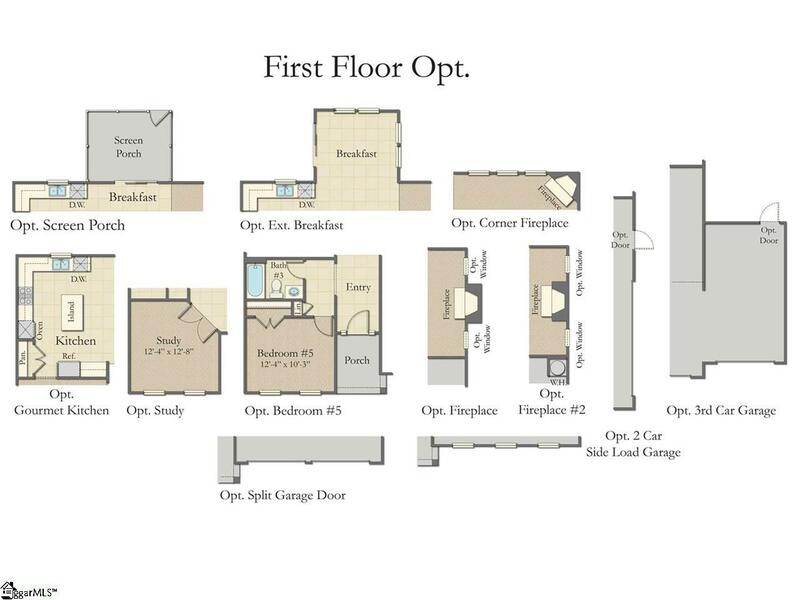 Our popular Drayton plan features five large bedrooms, including a 1st floor in-law suite, three full baths, a formal dining room, and huge open living spaces that make this home a MUST SEE! 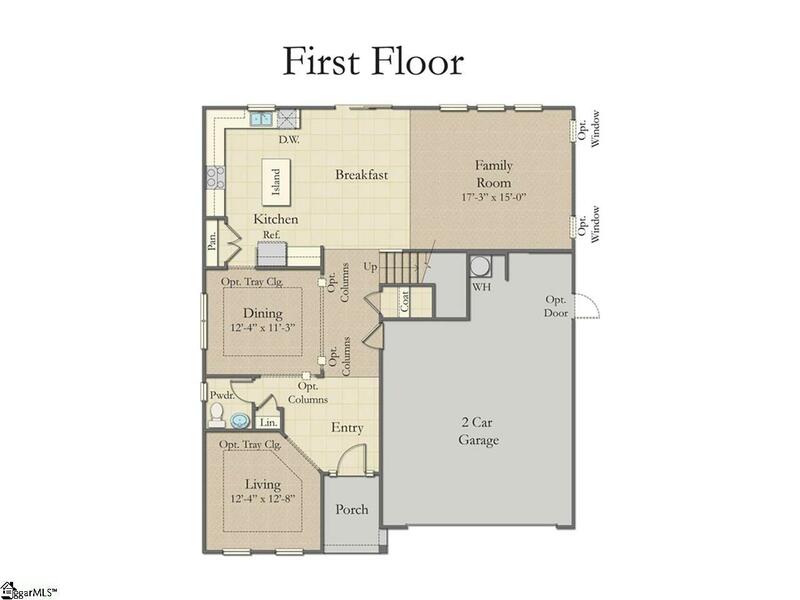 A sweeping front porch and extended foyer usher you into the full bedroom and bath on the 1st floor-perfect for guests or an in-law suite. A formal dining room flows seamlessly into your gourmet kitchen through a connected butler's pantry. The U-shaped kitchen is anchored by a center island that provides extra prep space and a casual dining option. Upgraded cabinets provide ample storage. Granite countertops & stainless steel appliances, including a gas range and built-in microwave, make this kitchen a chefs dream. Off the kitchen, a family room with an optional gas fireplace and eat-in breakfast area create the perfect atmosphere for entertaining. 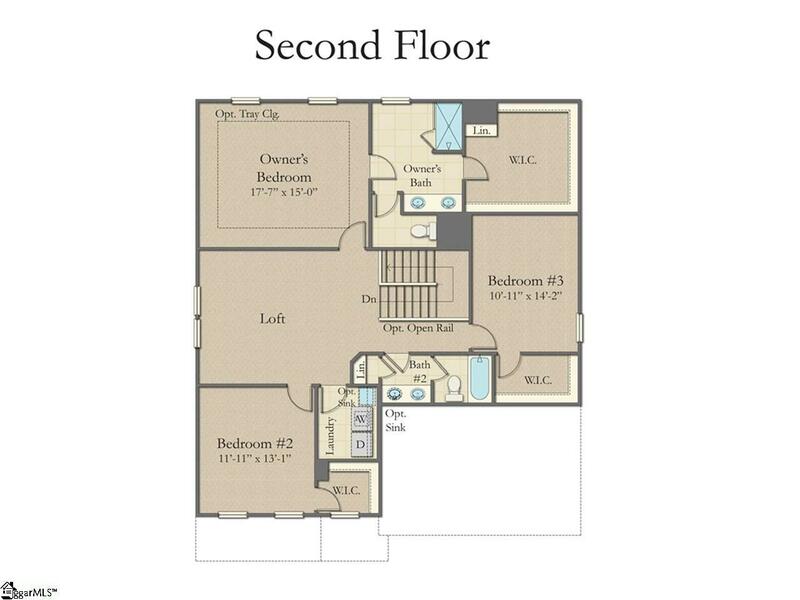 Upstairs, nestled in its own private corner of the home, the master suite boasts a gigantic walk-in closet and well-appointed bath with dual vanities, ceramic tile flooring, separate soaker tub, and a 5ft tiled shower with a seat. Across the hall, you'll find two generously sized secondary bedrooms with shared access to a full bath with double sinks. An open loft space can be converted to a 5th bedroom or used as a second family room, home office, exercise or media room. A two-car garage, attic access, laundry room, and array of closets provide excellent storage solutions throughout the home. Relax on the lovely 10x12ft rear patio and take in the view of your beautifully manicured yard. Our brand new Katherine's Garden community offers a community swimming pool with an open air pavilion, sidewalks, and an incredible location. Perfectly situated only 7 minutes from charming downtown Greer, 4 minutes from great shopping, dining, & entertainment options on Wade Hampton Blvd and only 20 minutes from both BMW and downtown Greenville, you'll never run out of things to do! 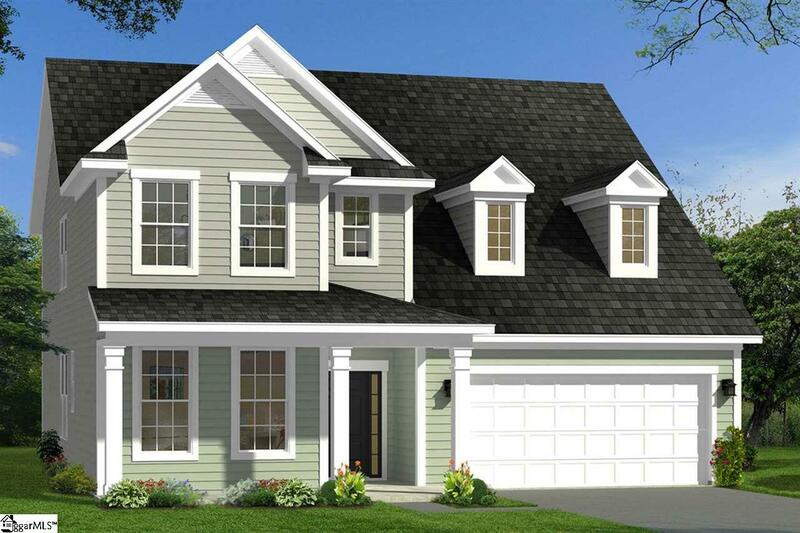 This home is proposed construction with a 5-6 month build time from time of contract. Closing cost assistance available.